Sometimes I am reminded that not everyone thinks the same way as I do; sometimes I am reminded that some others believe I think the “West” (including Israel) is bad or evil; that I support or sympathize with antisemites and terrorists; that I am soft on religion, especially when inhumane abuses are associated with religion; and so forth. I have been accused of all of these things and more (one forum even found some way to accuse me of being homophobic) and I would like to think that I do try to keep the conversation cordial, though I think I have kept finding room for more improvement over the years in that regard. 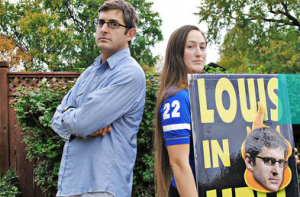 The criticism sometimes extends even to academic topics such as Christian origins: then I am accused of being bitterly anti-Christian or bigoted against alternative explanations like astrotheology, and so forth. Sometimes such perceptions remind me of what I once read of the Manichean mindset quite some time ago. I have copied the section below. Re-reading it now I can’t help but associate the same analysis with political attitudes on the right, but the more I think about it I see some on the left falling into the same dark box. I also wonder if it’s possible for the two sides to have any common ground for discussion of who and what falls into the Manichean category. Would not the “essentially Manichean” minds reflexively accuse the “moderates” and “compromisers” of being the Manicheans, thinking that if X is not unequivocally and totally against Y then X must really be deceptively all but totally with Y? One reason why the political intelligence of our time is so incredulous and uncomprehending in the presence of the right-wing mind is that it does not reckon fully with the essentially theological concern that underlies right-wing views of the world. Characteristically, the political intelligence, if it is to operate at all as a kind of civic force rather than as a mere set of maneuvers to advance this or that special interest, must have its own way of handling the facts of life and of forming strategies. It accepts conflict as a central and enduring reality and understands human society as a form of equipoise based upon the continuing process of compromise. It shuns ultimate show downs and looks upon the ideal of total partisan victory as unattainable, as merely another variety of threat to the kind of balance with which it is familiar. It is sensitive to nuances and sees things in degrees. It is essentially relativist and skeptical, but at the same time circumspect and humane. 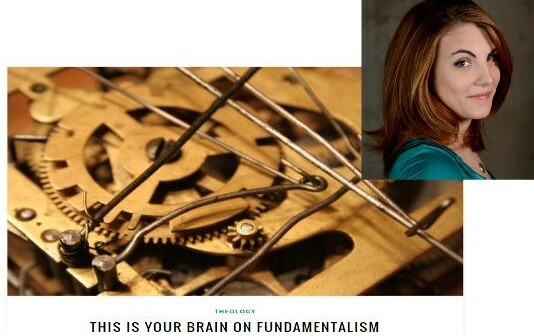 The fundamentalist mind will have nothing to do with all this: it is essentially Manichean; it looks upon the world as an arena for conflict between absolute good and absolute evil, and accordingly it scorns compromises (who would compromise with Satan?) and can tolerate no ambiguities. It cannot find serious importance in what it believes to be trifling degrees of difference: liberals support measures that are for all practical purposes socialistic, and socialism is nothing more than a variant of Communism, which, as everyone knows, is atheism. Whereas the distinctively political intelligence begins with the political world, and attempts to make an assessment of how far a given set of goals can in fact be realized in the face of a certain balance of opposing forces, the secularized fundamentalist mind begins with a definition of that which is absolutely right, and looks upon politics as an arena in which that right must be realized. It cannot think, for example, of the cold war as a question of mundane politics—that is to say, as a conflict between two systems of power that are compelled in some degree to accommodate each other in order to survive—but only as a clash of faiths. It is not concerned with the realities of power—with the fact, say, that the Soviets have the bomb—but with the spiritual battle with the Communist, preferably the domestic Communist, whose reality does not consist in what he does, or even in the fact that he exists, but who represents, rather, an archetypal opponent in a spiritual wrestling match. He has not one whit less reality because the fundamentalists have never met him in the flesh. I will conclude this series with this post. To do so I will refer to both the essentialist perspectives and coalitional behaviours characterized by religious groups and those who see themselves as some sort of atheist community. 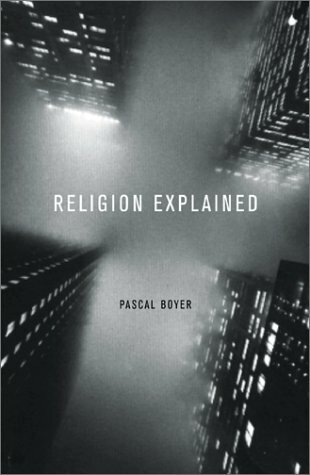 I will quote sections of Boyer’s Religion Explained and add comments attempting to explain how I think they can be applied to each group. The internal quality we had when I was part of one group in particular was the holy spirit. We were called by God and given his spirit. That was not a personally inherited quality, but the group was defined as being a kind of “biological”, certainly “spiritual body” that had been in existence since the original day of Pentecost.